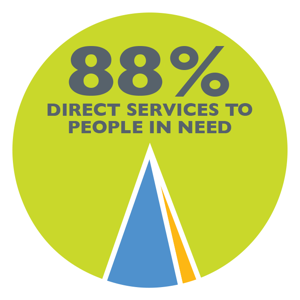 Catholic Charities provides a wide range of services to support individuals, families and communities. In FY18, Safe Streets of Sandtown-Winchester intervened in 515 incidents, preventing them from becoming violent. Christopher Place Employment Academy trained 49 formerly homeless men for careers – 36 obtained jobs, 82% make $12 per hour or more so far in FY2017.